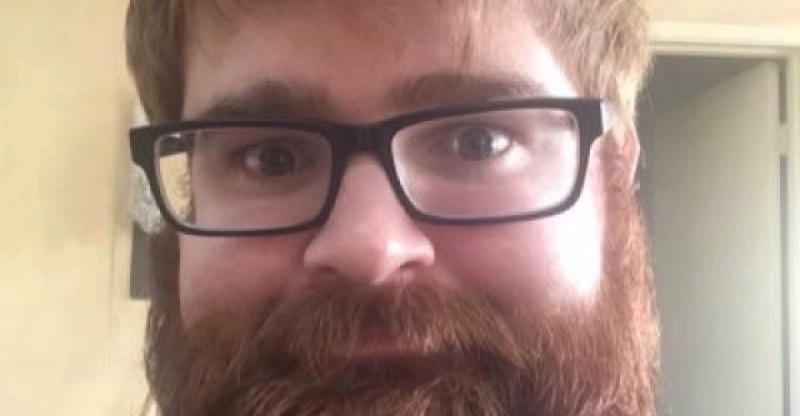 Cyberstalker and harassment specialist Chuck C. Johnson (who is NOT ME) has been bragging lately about his connections to the Trump administration, even threatening on Facebook to use them to get even with Twitter for banning his Wesearchr scam site. It’s difficult to say how extensive those connections really are, but there’s no doubt he has friends in the Trump White House; he used to write for Breitbart “News,” was seen in the VIP section at the GOP convention, and has been at several recent Trump events. And Forbes magazine recently claimed that several sources inside the Trump team told them Johnson was advising on possible cabinet nominees. Is this surprising? Not really. Chuck C. Johnson has made no secret of his white supremacist ideology for quite a while, but it’s notable because it’s the first time he’s gone on the public record as a Holocaust denier — and because he’s clearly doing something with the Trump administration. I essentially had a choice between being in the Trump administration or working to fill it with friends and allies. I have tried to get some of the most qualified people in the country into the government. So far, so good. Much more work to go. Trump is the beginning of roll back. He is not the end point. Any movement that bets on the heart beat of a 70 year old who is hated isn’t going to go very far. This is ultimately why Trumpism is a dead end. The smartest way you can change the world is to try to red pill the children of eminent/powerful men. This is especially true if you can’t red pill the men themselves. Ask lots of questions. Suggest lots of books. Really powerful people know that there’s something wrong with the world. Help them see the answers.